⭐️ Pre-order for Christmas 2019. Brand new letters, dispatching from September 2019. Photos and product description will be updated when this year’s letters are ready. 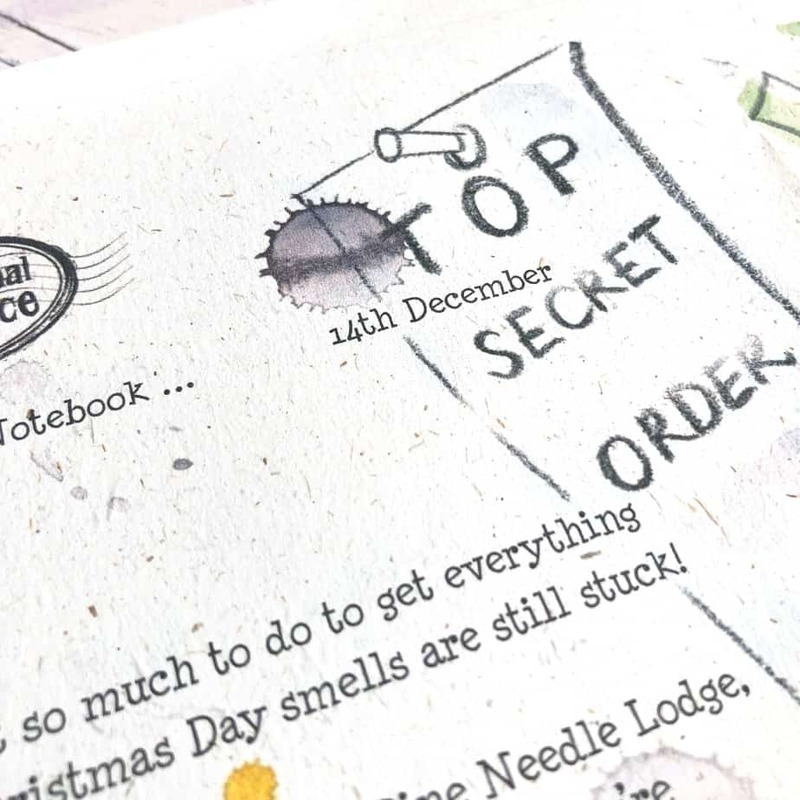 A magical tale unfolds daily through December in this magical hand-crafted Advent Calendar letter bundle … Secret Underground Tunnels, Wibble Wobbles or Stinky Wotnots anyone? One letter a day from the North Pole on the countdown to Christmas. 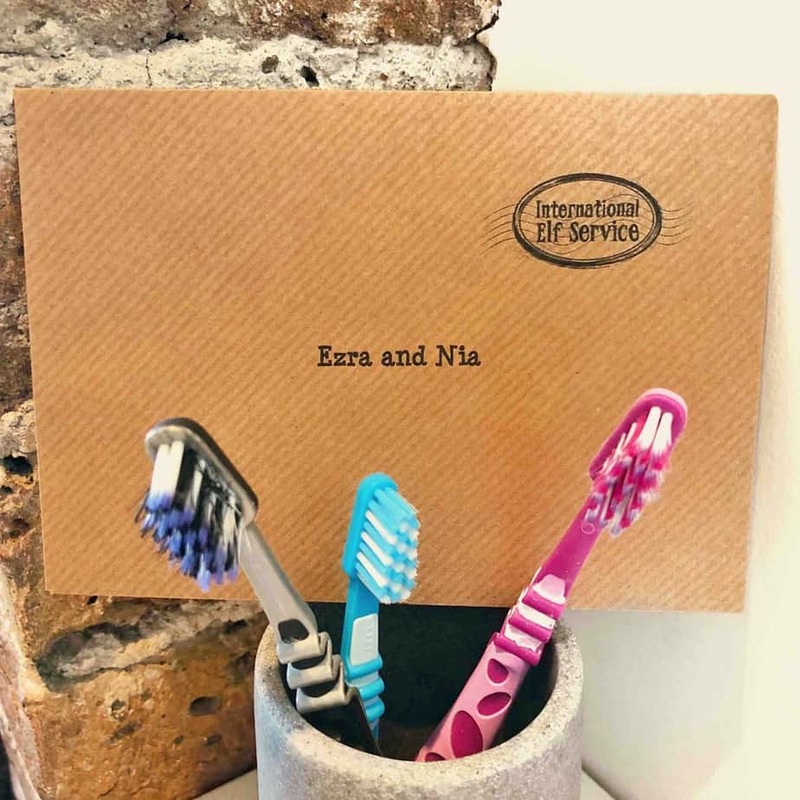 25 personalised letters, addressed to all the children in your family, full of funny stories, endless mishaps and a huge dollop of Christmas Magic! The Elves borrow Father Christmas’ computer to write letters full of secrets and snippets from the North Pole. As the Christmas season arrives the excitement gets the better of the Elves. They’re easily distracted, rather clumsy, and make huge amounts of mess. Do your children know what a Cinnamon Mine is or what a Magical Wind Machine does? Brand new each year, this unique Advent Calendar of personalised Elf letters creates an exciting Family Christmas Tradition and keepsake. A letter bundle packed with Christmas Magic and excitement, as your children read all about the preparations for The Big Delivery on Christmas Eve. A certificate from the Postmaster General congratulating the children for being chosen to receive the letters. 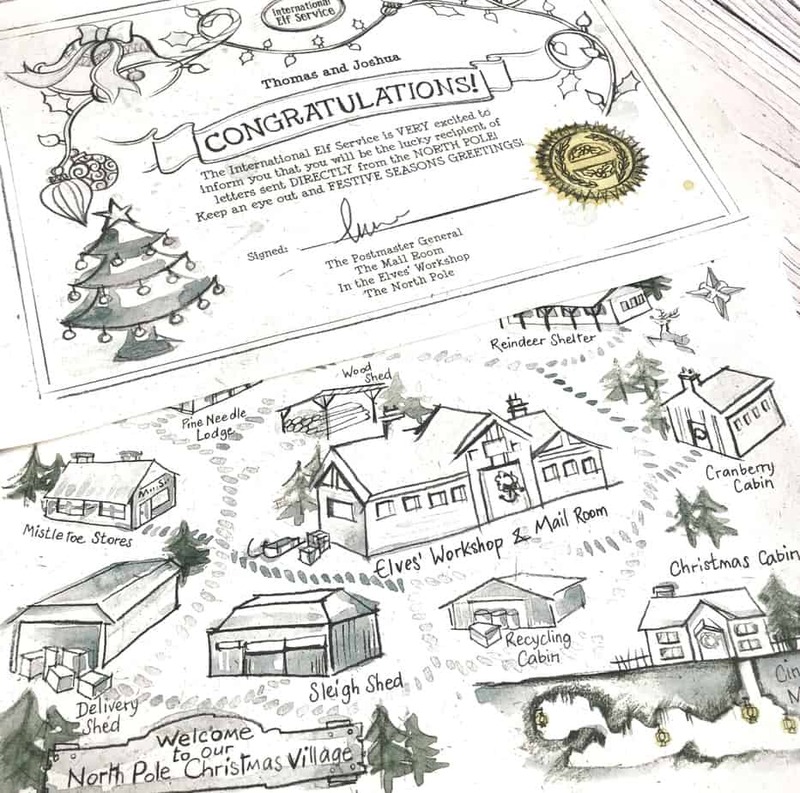 A hand-crafted map of the village in the North Pole. If you’d like more, you can order Extra Maps. 25 magical Christmas letters from Elfie & friends (including all the letters in the North Pole Christmas Letters). Each letter is hand-drawn, and completed with real ink splodges, marks, and smudges! An Emergency letter from Mother Christmas. Believe me, this will be very handy! 26 envelopes with all the children’s names on each one. A tick box Letter from Father Christmas from The Sleigh’s In-Flight Notebook for your child(ren) to find on Christmas morning! Christmas 2018 – Dazzling Disco Sleepover! The morning after their Emergency Pyjama Meeting over in Cranberry Cabin, the Elves discover a very unusual tree in the forest. Made out of ice! It has a door, and a key. But they have to wait for something to happen before they can go inside. When they finally do get to go inside, it isn’t as they imagine! Then one day, Elfie spots a very special glittery scroll poking out of it’s lock. It’s an invitation to a Disco Sleepover! This causes much excitement, and much planning! Then the Elves discover that all the wonderful smells of Christmas Day are stuck inside one of the pipes of the Magical Wind Machine. How can they get them out? They discover by accident that, every time someone says or does something kind, they move in the right direction. But when someone says something unkind, or plays a prank instead of working (Marty! ), they move in the wrong direction! Can your children help the Elves get their Christmas Day smells back in time? 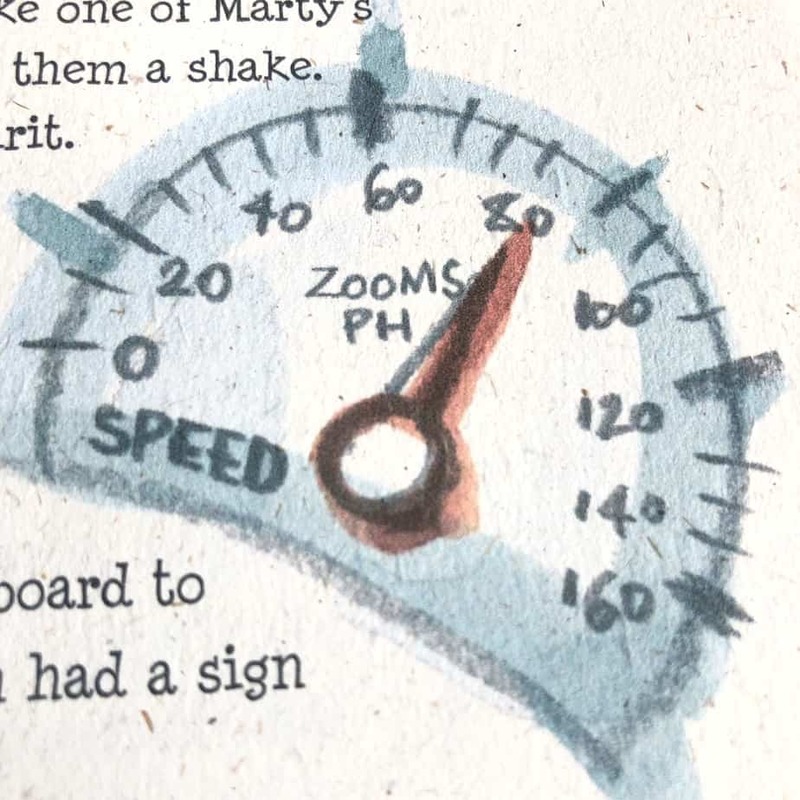 And very important questions are raised: has Marty’s new Potion worked? Will the Sleigh be fixed in time, and where are its Jingle Bells? Who is the new Elf, and why are they coming? What are Catch-Me-If-You-Can bushes and what grows on them? Why is the Cinnamon Mine flooding with Hot Chocolate? What’s on Lily’s Important List? What ‘extras’ will Father Christmas’ uniform and the Sleigh have this year? … and more importantly, who is the surprise DJ at the Disco Sleepover, and what was so unusual about their midnight feast? 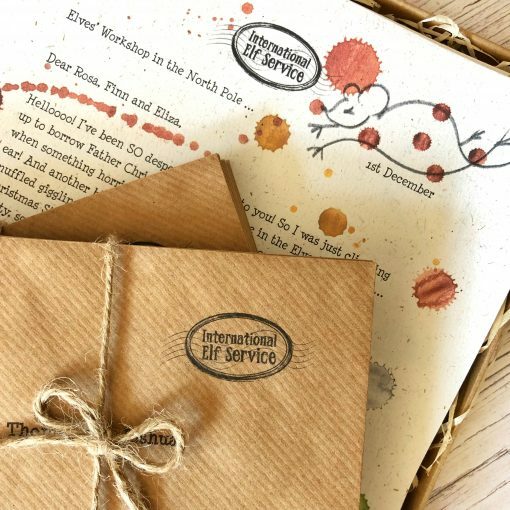 Includes letters from Elfie PLUS letters from seven different Elves, (aka the Mini Bundle of Personalised Letters, Full of North Pole News). Please note that due to the printing methods that Elfie uses and the nature of recycled paper, the product and the print may vary. We like to leave clues on our special International Elf Service Parcel Tags for our children to find their Christmas Letters. Enjoy! Don’t forget to get your Mixed Christmas Confetti, International Elf Service Parcel Tags and your Official Hand Stamped Linen Gift Bags. Magical and mesmerising Christmas letters from Santa’s Elves bring the spirit of Christmas to children of all ages. Our son has loved these for the past 3 years and I highly recommend them. My kids love the daily letters from the North Pole. I can always tell, by their laughter, when Marty’s latest invention has not gone to plan or when there has been an incident involving loud noises and smells. It’s lovely to hear them reading something they so very clearly enjoy out aloud. Thank you for the early morning giggles. My son absolutely loves these letters and has his fave Elf of course! This is our first year of these letters and he’s enjoyed them so much that I have already decided to purchase them next year! Christmas is full of magic and these letters are a lovely addition! Beautiful letters, wonderfully packaged. The magic and excitement of Christmas is delivered every morning by the elves! We can’t wait to see what mischief they get up to next! Thank you. This is the second year I have purchased the advent letters. They are truly magical. I look forward to hearing what the elves have been up to from my daughter. They are well written and beautifully illustrated. We hide them round the house to make finding them fun too. Sadly this may be the last Christmas my daughter believes but these letters will keep the magic alive in this home. I couldn’t recommend these enough! Last year we had the complete advent bundle of letters and they went down a storm with my 7 yr old boy. Unfortunately December crept up on me this year and ended up having to order the mini bundle instead. I was exceedingly gratified when I heard my (now 8 yr old) exclaim “yeeeessss!” when he found the certificate this year. It’s debatable how long parents can work at keeping the magic of Christmas alive but these letters go a long way towards extending it! I love them and will make sure I get my order in promptly to get the full advent bundle for 2019! This is a wonderful way to add some Christmas magic to the season. My kids are a bit older (7 and 10) and so I had fun with it, I made scavenger hunts, or left clues. When I went on a business trip I mailed letters. The story the letters tell is fun and engaging and the kids wanted to see how it turned out every day. Second year we’ve been doing letters! I use the theme to tie in with Elves antics. Added bonus – it gets a reluctant 8yr old to read out loud! An amazing gift to share at Christmas. We have received advent letters for the past 4 years and the attention to details in the stories and illustrations never fail to amaze. A box of 24 little delights that allow me to watch my little boys delight and intrigue everyday. From what maybe happening with Santa to Marty’s antics it is a magical experience I can only highly recommended. Emily and her team of elves can not be more helpful when it comes to enquiries and customer service. 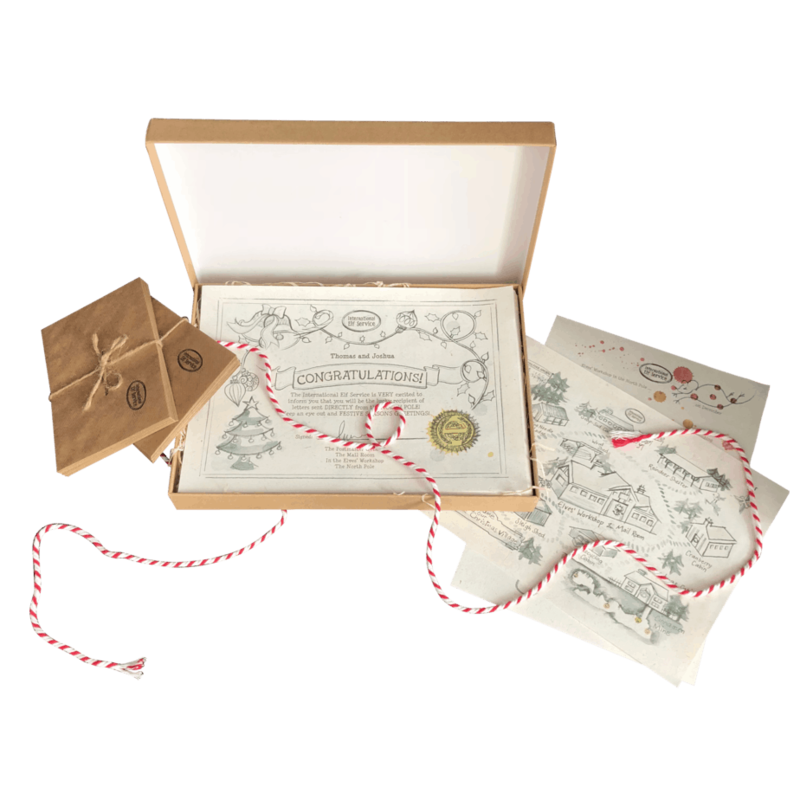 By far a superior service in all areas from delivery, simply beautiful paper and print to the candy cane rope the little touches show how much they care. Thank you Emily for all the Christmas magic we’ve received. I brought these last year and couldnt wait to order again this year! The quality is amazing and the customer service is like nothing I have experienced before. The stories are simply brilliant and my daughter’s can’t wait to read them and see who has written to them each day. This is our second year getting the advent letters from Elfie and friends. The kids also received letters from her on their birthdays, they love them! The elves feel very much like real people, real friends now and add so much magic to Christmas. Thank you!! Fantastic.!! My 8 year old is absolutely loving receiving her Elf letters every day.! Thank You so much for a brilliant idea.! Absolutely amazing letters. Both my girls are eager to discover their letter and can’t wait to read it, especially to their little brother. They love reading about what the elves are doing and what mishaps they get up too. The letters are printed on beautiful great quality paper. The stories are well written by an imagination that truly delights. Having had these letters before my girls can’t imagine a Christmas without them. And now having a little boy who is absolutely delighted with anything christmasy cant wait for him to be involved too. These truly help with the spirit of Christmas and help youngsters believe that bit longer. The advent calendar is fantastic! The kids remember that they will have a new letter the second they wake up, and run out excitedly to find it. Fun, imaginative stories, lovely illustrations, and all high quality paper, accessories and packaging. Such a brilliant idea and a great tradition which our family looks forward to every year now. These letters give the children a truly magical experience, and I highly recommend this to anyone with little people! We bought the advent calendar letter bundle last year for our daughter who is 26yrs old and has learning difficulties. This November she said “just a few more days and I’ll start getting the elves letters again”. This is how impactive and creative the whole package is and the excitement she gets from looking for the elf on the shelf with the daily letter is just awesome. She has also started writing letters back . I cannot emphasise enough how much fun this brings the whole house and I recommend this bundle without any hesitation. I went to my grandchildren yesterday and when they returned from school were so excited to tell me all about your little adventures. I love the expressions on their little faces. A truly wonderful experience for them. This is the second year I have ordered the daily letters and am so very pleased with the product. Thank you so much and looking forward to hearing each daily letter during the next three weeks. Please continue to produce these letters, they are so magical. My Grandchildren loved the stories last year and were excited to look for the letters every day. These letters are just lovely! Our boys are only 5 and 3 and yet they brought so much magic to the mornings! The genuine excitement of coming down the stairs to find where the elves had left the letter and also put the advent calendars! We will definitely be buying again. Thank you for doing this – such a wonderful idea! Having now used all these letters I feel I needed to truly thank you for creating something so wonderful. I have used the letters in unison with a certain elf, and I can honestly say that the whole experience has been amazing for both me and my 7 year old son. He has thoroughly been captivated by the letters and grown to love our elf (he hated the whole elf thing before) We have had sadness that he is leaving tonight, but he talked Elfie for telling him all about the North Pole. Fantastic product. ..my daughter was thrilled when she received her letters and looks forward to them every day. As she is 10yrs and starting to question things, it without doubt restored her faith again so thankyou! I would highly recommend the advent letters to anyone they are wonderfully written and put the magic into Christmas. First got these last year and was wondering whether to order again when my 9-year-old daughter was musing in early November about whether they had been good enough for the elves of the North Pole to write to them again! So decided to re-order. She reads them to her younger brothers, they all remember to run downstairs and check if they’re on the doormat each morning (pro-tip, set yourself an alarm for about 10pm every night to remind you to do this!). It’s such a lovely idea and the kids like to read them out while getting dressed in the morning. They even take them to school and show their teachers. Last year my daughter used the map for a school science project, where they had to connect up circuits. She drew a bigger picture of it and wired up lights to all the places. Her teacher was amazed at her imagination, I had to explain to him that she didn’t come up with the idea of a cinnamon mine all on her own! Hi Rachel, oh wow that’s amazing – I’d love to see a photo of your daughter’s circuit! Thank you so much for taking the time to leave a review! Lovely product. Beautifully presented and original and charming content. Received my elf letters and they are truly wonderful! I read them myself and chuckled as I could picture the children’s faces when they read them. I have bought them for a primary school class so will let you know how that works out! Thank you! We love these letters – my 11 and a half year old pondering where they come from and how did she get on the list! Lovely moment as she hopes that they will come again. Thanks to Elfie they will magically appear. And even for the older children the magic is there. It makes for a lovely morning ritual of a cup of tea, having a letter read out to you and enjoying the story. Highly recommended and those of us who are now in on the secret, we love the letters. ordered these for my grandson and gave the box to his mum at the weekend. They look fabulous and will make the Christmas countdown magical. WOW! The letters look fab online but in real life, they are even more beautiful and magical! Even the touch of the paper feels special. My daughter was super excited when she received her certificate saying she will get some letters and is super excited for them to arrive. I have had to tear myself away from reading them all before she does so I can join in with the surprise too. A fabulous and magical gift! What a beautiful product, you can see how much care and attention has gone into making this lovely set. Can’t wait for 1st December to start sharing them with my 3 boys! Aftercare and customer service was also excellent, thank you! Amazing product. I was looking for something that would keep the magic of christmas alive for both my children and i was not disappointed. A lovely set of letters, illustrated and written beautifully. I cant wait to start hiding these letters for my children. Will definatly be buying again next year. Lovely presentation,. I know my grandson will be so excited to receive a letter every day. Contributes to the magic of Christmas. Absolutely love this!! Everything arrived quickly and beautifully packaged and now I can’t wait to see my 3 boys’ faces every day in December when they find and read the letters. Bought for my granddaughter and delivered to their address so I haven’t seen it, but my daughter phoned to say it has arrived and she is looking forward to opening the letters on Dec.1st. These fantastic letters and associated packaging are beutifully presented and will delight my grandchildren I am sure. These are totally fantastic. My Grandkids had an amazing time last December leading up to Christmas. Their Elves brought the letters each day & they were so excited to get them & read them, they even wrote letters back to the Elves at the North Pole for their Elves to take back at nightime. Throughout the year they have asked if their Elves will come back this year & if they’ll bring them any letters. Have told them that once Santa has allocated Elves to children they will return each December but they’ll have to wait & see if they bring any letters. Can’t wait to see their faces each morning. These letters have brought the Christmas magic back for us adults as well as making it extra special for the kids. Arrived in just a few days. Lovely and careful wrapping. Found myself caught up in reading them. Can’t wait for December to use them! 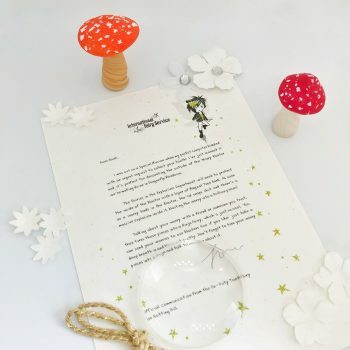 My second year of ordering – my 5 year old loved the letters last year and has already asked me if the elves will write to him again, after I wasn’t sure he’d even remember. Lovely to have something every day to build the excitement! Really pleased with the quality of the letters. I don’t think my son is quite ready to fully understand it all but he will enjoy looking for his post. The additional gift tags and treat bags mean I can leave the odd little surprise too. Much more fun than an advent calendar. Absolutely beautiful , full of magic and Christmas spirit. These letters are worth every penny. They are beautiful and felt magical even when looking through them. They are well written and beautifully illustrated. They arrived in a plain box so as not to draw attention. I’m running out of Christmasses where my daughter truly believes so I am trying to make each Christmas as magical as I can and these letters will be perfect. Thank you. Our delivery is currently in hiding until 1st December! I cannot wait to see our daughters face & already know these are going to be a huge hit & a future festive custom in our home. Beautifully presented with thoughtful, imaginative detail & illustration…trust me, you will not be disappointed! Fabulous…just received my order and I’m just so excited to plan a Christmas countdown even though my kids are older. Wish I had these 5 years ago! Love the detail. I love these letters. The certificate you give them before the letters is fantastic. Tells them they have been chosen to receive letters from The North Pole. I can’t wait to see her face when she receives the certificate never mind the excitement of the letters. My daughter is going to love these. I can’t wait to see the magic and excitement throughout December as she reads her daily letters. I’m so excited for Christmas celebrations to start. £35 seems a lot but how can you complain when this will bring the magic of Christmas alive. So worth it. Came across these by chance on fb, ordered for my granddaughters. So pleased with them beautiful and unusual alternative to advent calendars. Can’t wait for them to receive first one and will definitely think about for next year. These letters are beautiful, each one is unique and the detail is incredible. I cannot wait to use them this year. I will definitely be buying them again next year and look forward to having this as a family tradition each festive period. Thank you Emily for sharing the festive joy and wonder. I bought these for my nieces & nephew the past couple of years. My sister has said they have been so excited to get them, she hides them around the house with an elf. As their aunt I get a kick out of adding an extra bit of magic to their Christmas. Amazing well thought out product! My children will love this at Christmas! Finally something to keep the Christmas spirit alive! This is the first time I have ordered and I am so pleased that I have. The letters are beautiful and the quality is amazing. I can’t wait to see my daughters face when she opens her first letter. This is the second year of buying these for my grandchildren. They are beautifully done , this years are different, and the children loved to find another letter each in the lead up to Christmas. Great value. I put things in the envelopes some night and relate this to her elf. I have order again for this Christmas. This is definitely a Christmas tradition in our house. We got these letters for the first time last Christmas and it made December a very special time. My daughter loved waking up to the letters every morning and reading about what was happening in the North Pole. Excellent quality and lovely stories. This is something that I will do every year now and I’m delighted that we have just received our letters for 2017 which are amazing. 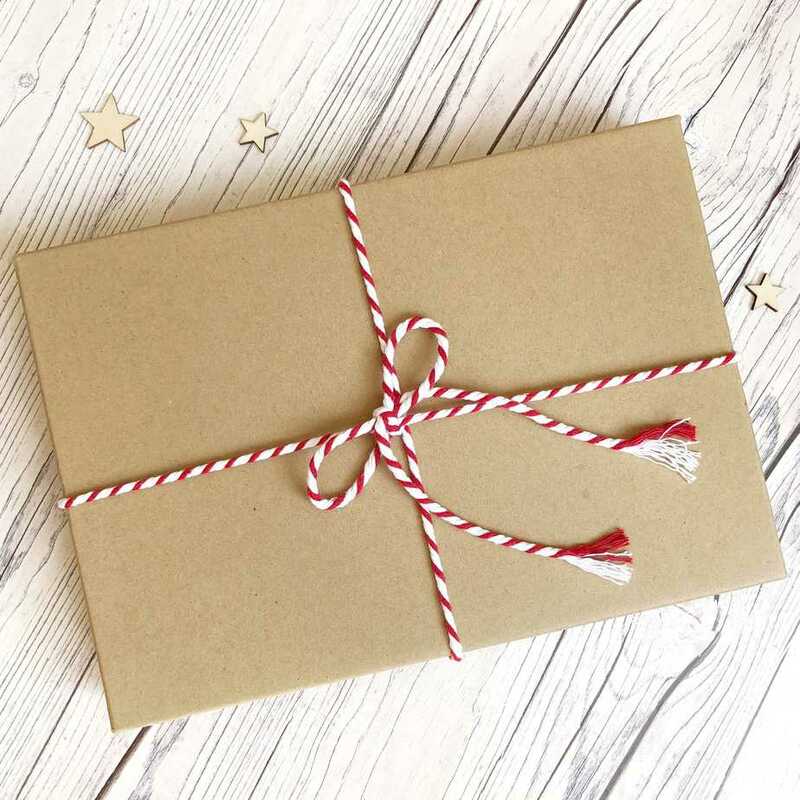 Delivered in a beautiful box with red and white string; inside high quality paper letters, packed with ideas. The envelopes our out of brown craft paper. This is such a wonderful bundle! looking forward to some of the other products too! Absolutely wonderful! Bought for 3 wee ones of varying ages. They searched high and low for them every morning. Letters turned up in cereal boxes, in the bathroom, on the dog… some days they were easier to find than others. The stories were fab and the children loved the humour & were hooked, wanting to find out what would happen next. Have ordered for this year already, they are too good to miss! A new tradition which is loved. Love love love these letters! My Daughter Megan was so excited to receive these letters last year (so I’ve bought them again) she would come running into my room every morning to read them to me. These letters made my sons christmas. They are without doubt THE best thing we have done for christmas. The world these letters create is wonderful, the letters are beautifully illustrated, funny, touching and truly magical. My son is now 7yrs and has decided Father Christmas is not real, and he was fine about it…but he was much more upset the next day when he realised that no Santa meant Elfie wasnt real either. 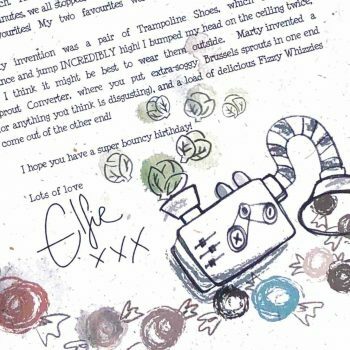 Elfie’s letters meant more to him that Santa’s stocking of prezzies, and I love that. Thank you so much. I bought these last for last Christmas. I bought a cheap stocking and glued some battery lights to it, and hung it on the mantle. Every morning, Max would come down and see a letter poking out of the stocking. Elfie had also left him a chocolate coin. The look of wonder on his face each morning, was priceless. Children grow up way too fast, and making special memories, is so important. These letters, make such wonderful memories, and made it special for all of us. I’ve bought them again this year, and I can’t wait to make even more memories. Buy them, you won’t regret it at all. I received our letters from elf this morning for the 3rd year running. I was so excited!! And I’ve had a peek and love love love them. Such a genius idea and so worthwhile. Amazing letters my little girl (3yr) love them. Lovely written with beautiful drawings. All of my children loved finding the letters and reading them, so much so that I’ve kept them safe for this year!!! Received my Christmas letters on Saturday, and I was blown away..the thought, imagination, work and detail you’ve put in, is amazing!! I simply cannot wait until 1st December for the fun to begin and to see the children’s faces, I haven’t read all the letters myself because I too want too enjoy the magical moments with them. A fabulous lovely magical idea. The letters are written lovely and are very funny, my 7 year old loved receiving them each morning. I ordered Christmas letters last year for my son & daughter which they absolutely loved! The letters are so cleverly thought out and we had so many laughs. I also ordered my son a birthday letter which he thought was great! He loved the idea of the elves celebrating his birthday at the North Pole. I also ordered one for my daughter’s birthday which is in October. I can’t wait to see how she reacts as we will be on holiday. I am looking forward to the questions, ‘how did the elves know where to send the letter? Etc. Overall, brilliant!!! This will be the 3rd year I’ve used these letters for my granddaughter who is 9yrs. She gets so excited, as I use them in connection with our own Advent Calendar. I usually hide the letter with a little gift, which she can find through clues in the calendar draw. It makes December so special. The letters are beautiful and lets the children believe in all the magic of Xmas. I have ordered Birthday letters for the first time this year. Once I send them (October) to my grandchildren I will let you know what they think. I would recommend the letters to anyone who wants to enjoy seeing the children so thrilled with the thought that she has her own personal elves helping Santa. Keeps the magic alive. 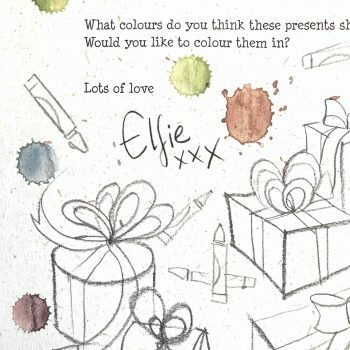 I ordered the Elfie Christmas letters for my 4 children in 2016, and my mother said after witnessing their reactions: “wow, that was the best £35 you’ve spent!” They were blown away by the magic and excitement, and went squealing round the house in the mornings, searching for letters, opening them with trembling hands, and phoning family members to tell them the latest from the North Pole. As my eldest said once the second letter arrived: “it’s real, it’s really real….this truly is magical”. Nothing beats bringing that joy to your children. Such a beautifully presented and high quality product. My children (aged 4, 6 & 8) were so excited to find the letters that I had hidden in the run-up to Christmas. They sparked their imaginations and my eldest wrote letters in return. A wonderful alternative (or addition) to an advent calendar. Thank you Emily! I can not explain how much joy these letters have not only given my daughter but my husband and I. So beautifully written . We all look forwards to reading them everyday. My daughter has even kept them all in a box in mint condition as she say they are so special. Well worth the money. These really make the run up to Christmas special. We have had these in 2014 and 2015 and can not wait for the next instalment of the letters. 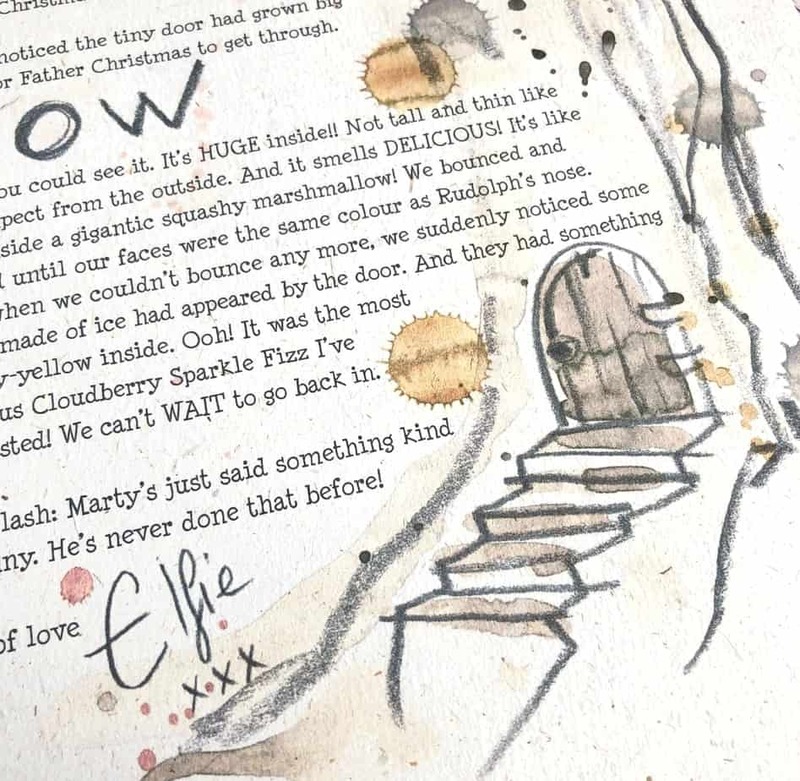 I ordered Elfie’s letters for my 2 and 4 year old to make the run up to christmas a little bit more exciting. On opening the first letter my 4 year old was spellbound, he loved looking at the map and kept asking me to read it over and over. Everyday they would rush down the stairs to find the next letter and they even started doing drawings for Elfie. Elfie often left activities and little gifts for them, which made them even more excited. The letters themselves are beautifully written and engage the children so well. My 4 year old still talks about the standing still contest and Marty parping (Marty was his favourite after Elfie because of this letter!) and he’s already asking if Elfie will write again next year. 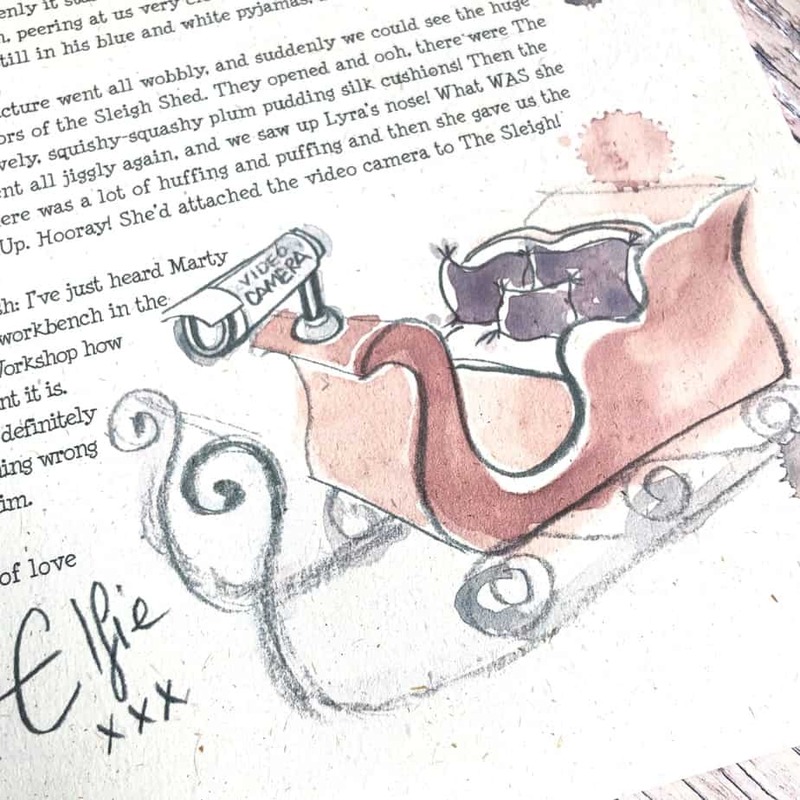 The letters are amazing, the customer service is fantastic and I can’t recommend Elfie’s letters enough. Can’t recommend these amazing letter’s enough! They have brought great joy to my children (aged 5, 7, and 11!!). It has really made our Christmas that extra bit magical. The kids are far more interested in what Elfie and co. get up to next, than what’s hiding behind their advent calendar door…and who can blame them! Wholeheartedly, the best countdown and build up to Christmas EVER! A definite new Christmas tradition in our house. Both kids (2 and 5) loved them. Great stories. Lovely packaging. So imaginative. Thank you for adding some effortless extra magic to Christmas!